We've had our own March Madness, with weekends full of singing engagements. Our latest performance gave us a chance to connect with some old friends from the Music Man. 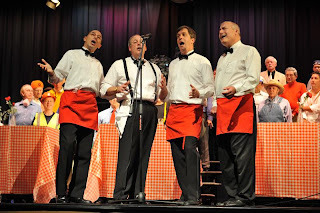 Look for us this April 5th at The Heart of Maryland's Lasagna with Barbershop show.